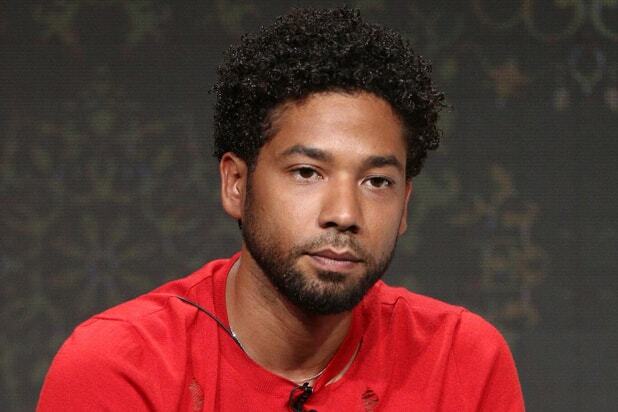 "Empire" actor Jussie Smollett has been arrested for allegedly filing a false police report claiming he was the victim of a hate-crime attack in Chicago, a police spokesman said Thursday morning. Smollett was charged Wednesday with felony disorderly conduct for the allegedly false report he made with Chicago police on Jan. 29, according to the Cook County State's Attorney's Office. In the report Jussie filed, he claimed he was assaulted by two masked men who hurled racist and homophobic slurs. Chicago Police Department spokesman Anthony Guglielmi said Smollett was in the custody of detectives, who had earlier contacted Smollett's legal team "to negotiate a reasonable surrender for his arrest." He could face probation or up to three years in prison if convicted, a Cook County State’s Attorney office spokeswoman told NBC Chicago. The actor will appear in court for a bond hearing at 1:30 p.m. CT Thursday.